Divya Sama calls herself a reformed journalist. Once a reporter, the spirit never dies in whatever career path you take, she claims. 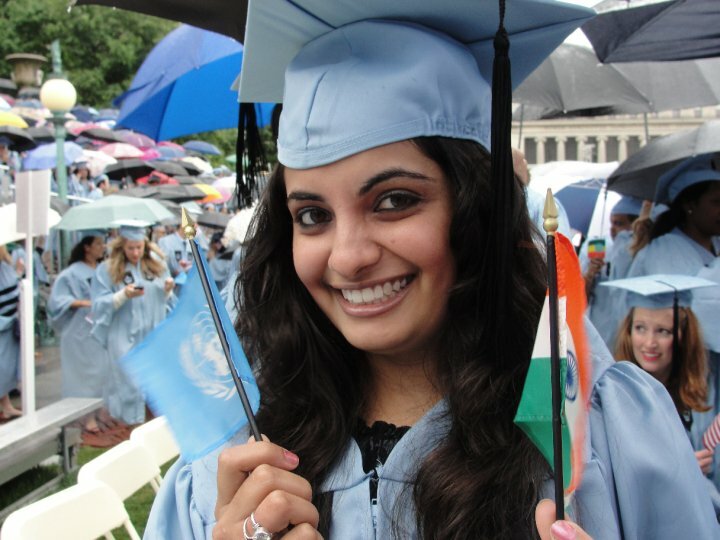 After her stint as a young reporter for The Indian Express Newspapers in Mumbai, India she went to Columbia University, New York to study International Affairs in 2008. She has studied, worked and lived in following countries – USA, Switzerland, Afghanistan, Myanmar, Lebanon/ Syrian Border, Philippines, Jordon and India since her departure in 2008 from India. Since then she has been working extensively for Communications with Communities, an emerging field in emergency response and Aid Evaluations/ Accountability to Affected Population. She has conducted large-scale assessments to monitor UN, government and INGO work for refugees and internally displaced population based on Inter Agency Standing Committee principles and practices for humanitarian conduct. And has travelled to several refugee as well as IDP camps around the most troubled spots. 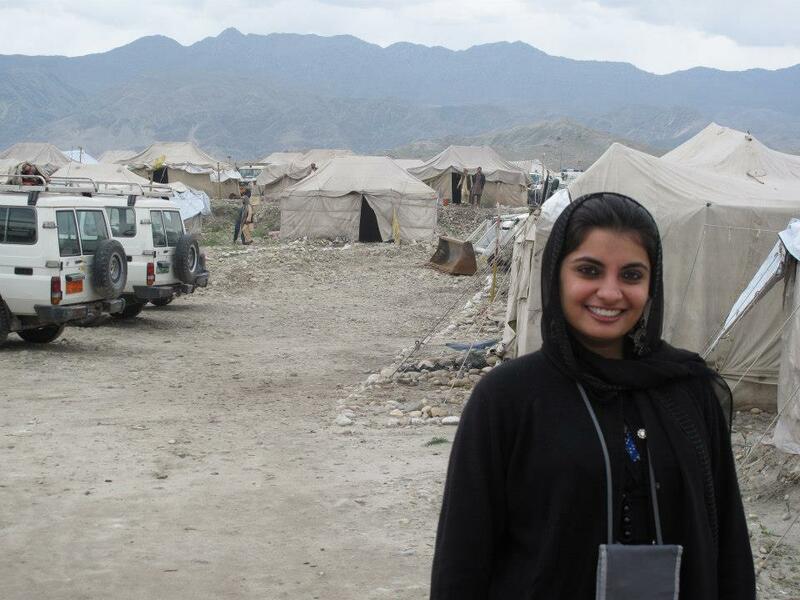 She has also served in various advisory roles for government ministries in Afghanistan. She speaks exclusively to OFFDHOOK on this women’s day. What challenges you face while working in camps for refugees and internally displaced population? It really depends on the country in which I am engaged as a Communications with Communities & Accountability to Affected Population Specialist. Challenges range from security issues in some countries to language barriers with communities in the camps. I would say for a person who cares about community voices, language barriers could be more compressing as compared to any other challenge. You have several groups of communities especially woman speaking relentlessly and trying to explain something, sometimes you feel, it got all lost in translation. Its sad when you collect and collate so many voices from the field and link humanitarian country programming with those voices but are not there to see where this could improve further? Also challenges continue in many countries where humanitarian access is an issue. Little can CwC strategies here do in a short time? Have you ever been a victim of racial discrimination? I have never been a victim of racial discrimination from any community in the camp. I cherish the time I have spent with communities in the camps. Please note, when I refer to communities, I only mean communities in the camps. Governmental institutions, local population and other non-state actors, I am not getting into that. How do you adapt to rapidly changing situations at disaster-affected areas? I have lived in Afghanistan and travelled extensively all over in the country. And for the past two years, I have travelled extensively to various camps in Myanmar, Philippines, Lebanon/ Syrian border and Jordon. Security situation, on the ground challenges and access issues are different in all these contexts. I would say working, as a journalist in India prior to entering the global world of myriad humanitarian problems was a learning ground. As a reporter we worked hard in pressing situation in Mumbai and ever changing dynamics. I just used the same sense of “inspired” sprit and “never give up” attitude in the situations I face now. I would say, you embrace this travel and adventures galore that come with it. It is so much learning about new cultures, problems and acceptance. I would be bored if there was no challenge; it’s like a spiritual relationship with myself that I could handle this. The fact is that I am not alone working in such conflict sensitive or disaster affected areas, there are so many inspiring professionals I meet and learn from. This is indeed a good life where the journey to understand new territories continues. My challenge is more related to the fact that a lot of these missions are short term and problems associated with crisis are complex. Coming in and quickly picking up on issues and swimming through a whirlpool of new information that needs to be understood in very brief period of time is what can be exhausting. From earthquakes to armed conflicts, survival is not easy. Was there any moment in your work career that you got the biggest scare of your life? There have been some serious security lapses in Afghanistan. And also losing some friends in bombing in 2013 that you just interacted few minutes back online was a reality check. It is more of a psychological scare that is always so persistent. It was astonishing to see a dear friend’s Facebook flashing with “goodbye messages” and my chat still showing his ID in “idle modes”. I could not believe it and tried to chat a few times more as if the fact that he was one of the targets when the Lebanese restaurant was attacked may not be true. I myself still remember how during my tenure in Kabul, while I was working in ministry delivering trainings to counterparts, there was an explosion targeted at US embassy. Well, it was a close call. We were just in the area close by when it continues for long that noise. I remember my generous Afghan colleague driving two of us – myself and another female advisor in the car while we hear the bullets go off and the attacks continued. However, he parked us safely to our homes and he went alone again in the same vehicle trying to reach back to his family. What is amazing is how the very second day all of us showed to work and it were back to the routines. There have been many more serious incidents; I would prefer not to remember them. You keep travelling from one country to other, how your parents respond to your bold decisions? I think this all started to escape a possible arranged marriage. I was moving from one city to another in India just to escape traditions. Then decided to chase my dreams globally and now the travel continues. I laugh sometimes how cultural escapism can lead to much more creativity and inspiring careers in life. I feel so motivated everyday. My parents have embraced my travel and decision making with a smile on their face. Of course, they worry about my security but it was interesting to see how my father recently wanted me to pick one assignment in Iraq as opposed to another one in Myanmar. Interesting transition huh? I am so proud of my parents who always listen to my never ending travel stories, challenges and a need to discover a new itinerary. They are the best listeners in this world. I have a lot of support now for my work and travels back home from everyone. I can assure you this was not the case when I started my journey. How the journey has been? This journey as I told you started with a combination of factors. One was that I have always felt some adrenaline rush in my body when I saw wars, borders and felt I could just go there. I have always been inspired to work in some capacity for Internally Displaced Population and Refugees. Also, second reason was to escape the ever persistent pressures of “you are on the edge” get married dialogue in India. This journey has been rewarding from studying in Columbia University among top scholars to working in Afghanistan. For past two years, it has been extensive travel to most troubled spots in the world including Syrian border. I learn something new everyday. Sometimes a traveller intuitively knows where he or she inspires to travel. I graduated with both Indian and Afghan flag. I told myself not many students from Kabul in Columbia University, I could represent the country and also go and work there right after graduation. This is exactly what I did. The universe conspires if you have a dream. How liberated you feel as a woman today? I felt the most liberated in Afghanistan. We always see so many articles in newspaper about women issues and their constraints in Afghanistan. I would say, this country gave me my freedom. 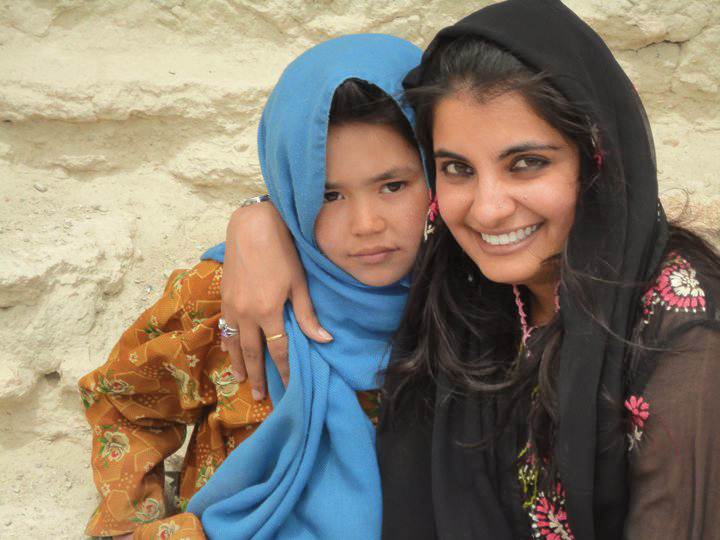 The fact that I could just fly there alone and get my dream job to work for an Afghan ministry delivering programs for the most vulnerable as an advisor, makes me feel good about dreaming more. The fact that it was opposite to the New York life I lived before I went to Kabul and quickly switched gears to be in one of the most insecure environments liberated me. The fact that I never lived a sheltered life in any embassy or UN compound, but rather leased out my own house in an alien land such as Afghanistan and lived where other middle class local communities lived, makes me feel much stronger. If you want to work or live somewhere, just buy the ticket and show up, who wants to wait that long?